Color(s): Sable, fawn, red, black and tan with or without white markings. Revered as cattle herders and guardians of the home, the Corgi's origins are obscured by folklore. This breed garnered popularity and notoriety due to long time fancier Queen Elizabeth II. The Corgi is low-set, sturdily built, hardy, and strong. They are a breed of substance and stamina. Corgi's exhibit an expression of interest, intelligence, and vivaciousness. The Corgi breed is loyal, devoted, alert, and playful. They are family oriented and do not do well if ignored or left alone for extended periods of time. If they become bored or lonely they will become destructive. The Corgi is a very vocal breed. They do best in a home with older, considerate children. They are wary and suspicious of strangers and will fearlessly protect their family, property, and territory. They do well with dogs and other household pets they have been raised with. Regular brushing with a firm bristle brush is recommended. Bathing should only be done when necessary. The Corgi breed is prone to such health issues as PRA, hip dysplasia, epilepsy, Von Willebrand's disease, and spinal problems. It is important to not overfeed. 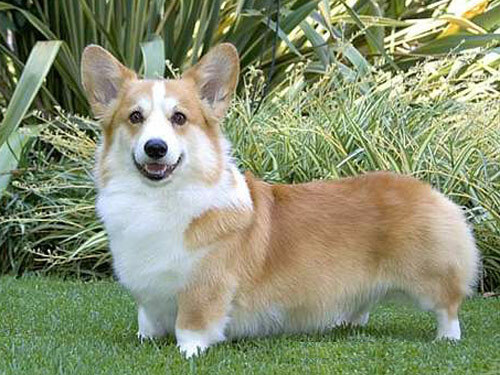 The Corgi is a double coat breed. The outer coat is long, coarse, straight, and longer and thicker around the neck, chest, and on the shoulders. The weather-resistant under coat is thick, short, and of medium length. Early socialization and obedience is recommended. Corgi's do not do well with repetitive training; sessions should be short and varied. They will not respond to harsh or heavy-handed methods. Training should be done with firmness, fairness, patience, and consistency. The Corgi is suited for apartment or city living provided they are sufficiently exercised and mentally stimulated. They enjoy securely leashed walks and family play sessions. They excel in agility, obedience, conformation, and as therapy dogs.